This eye-catching piece is 14g 7/16" and features two gems – one mounted on the top ball, one on the bottom. The Double Gem is uniquely designed to flex and bend for comfort. Top and bottom balls are 5mm and 8mm respectively. In between, the stainless steel bar can be tailored to your size. 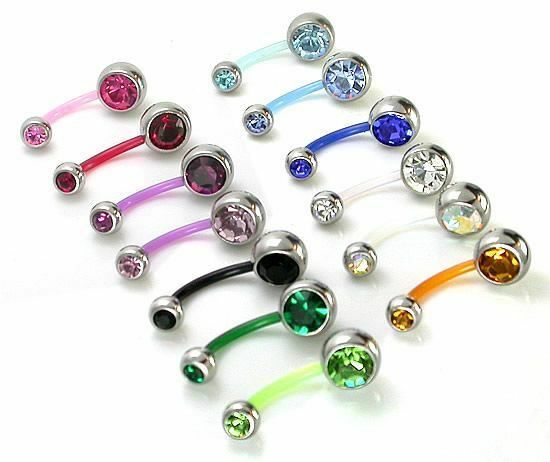 Choose your favorite color for shaft and gems.